Take the next step. Join the Junior Staff team and change a life forever! Junior Staff are volunteers ages 16-18 who spend a week or more at camp. If you choose Junior Staff, you will be mentored in three primary camp areas: Grounds Care, Kitchen Prep, and Cabin Life. If you perform well, you will be invited in future years to accept paid positions as Counselors, Cooks, or Maintenance personnel. While at camp, you will be mentored by college-age student ministry majors who care for your emotional and spiritual needs. They will also challenge you to push yourself farther than you ever have before. In addition to working hard and serving Jesus all day long, daily devotionals and evening activities give you a chance to build great relationships with God and with each other. Every day you will rotate through the three primary camp roles. You will learn a lot about yourself and discover which areas you enjoy most, and you will have multiple opportunities to use the gifts and talents God has given you. You will gain a clear understanding of every staff role so when it is time to join the senior staff team, you'll know what fits best. Grounds Care: Under the supervision of the maintenance director, you will spend time creating and maintaining spaces where campers can meet Jesus. You will learn to use small tools, operate and repair weed trimmers and mowers, and how to do basic landscaping and property care. You will also gain experience in handyman type repairs to buildings and equipment. Kitchen Prep: Under the supervision of the cook, you will learn to dice tomatoes, sanitize counters, wash dishes, serve food, bus tables, clean floors, and operate basic kitchen equipment. You will also learn how to stock, cook, serve, and store food at the right temperatures. In the kitchen, you have a wonderful chance to build relationships as you care for campers' physical needs. 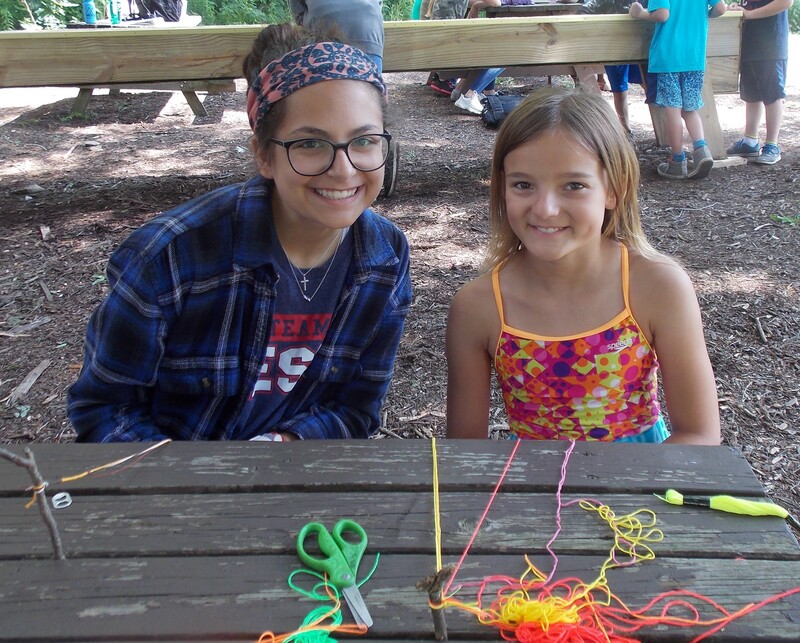 Cabin Life: Under the supervision of cabin counselors, you will spend time building relationships with campers by having as much fun as possible! You will have the opportunity to join cabins for their activity times, set up and tear down activity stations, and even oversee some of those stations during open activities. This is a great chance to learn how to operate a variety of camp activities while sharing Jesus with campers through your attitude and conversation. All Junior Staff positions are 'week-at-a-time' volunteer positions. You will arrive by 1:00pm Sunday afternoon, and head for home Friday evening at 8:30pm. Still want to spend time as a camper? Be sure to register below.